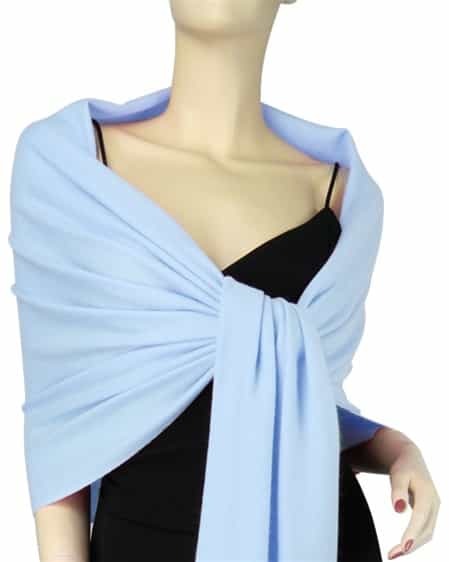 The Pashmina Store is proud to bring you the finest quality Light Blue pure pashmina wraps at exceptional values. 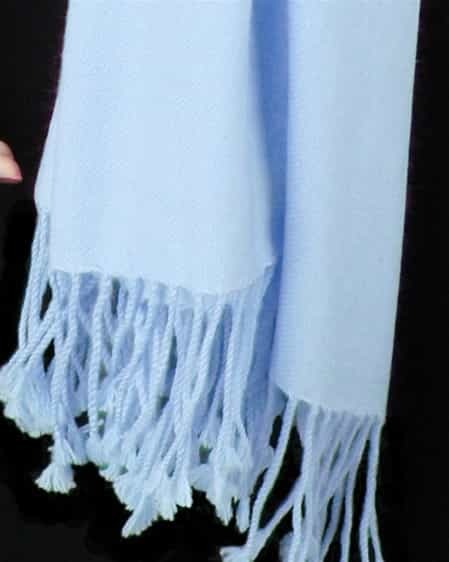 This beautiful light blue wrap is a full 28" x 80", plus 3" tassels on both ends. It is carefully crafted by hand in Nepal using 100% soft and wonderful pashmina wool. Plus, it is luxurious 3 Ply...making it extraordinarily comfortable. Average Customer Review: 5 of 5 Total Reviews: 3 Click here to write a review. Another gorgeous purchase from your site! 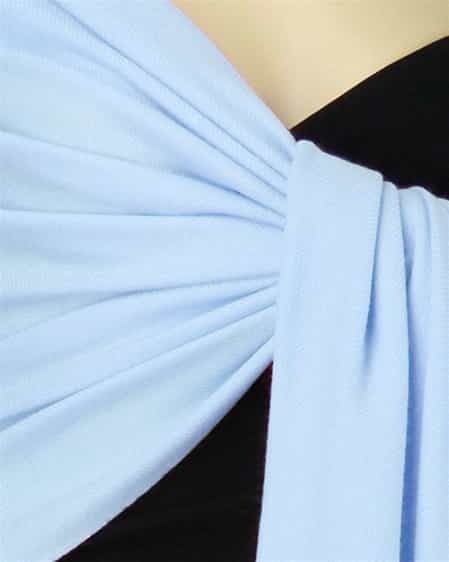 This wrap is a beautiful soft blue that will go with almost anything and look good on everyone. It is beautifully woven and soooo soft to the touch. Thanks! This is my third order in about two weeks. I have been very pleased with the quality, and your speedy shipping. My experience purchasing from you was one of the absolute best online purchases I have ever made. I am a frequent internet shopper and everything about this experience was easy & efficient.